The ACLU and the NAACP of Pennsylvania believe the state’s new voter ID statute is an unconstitutional law that will disenfranchise tens of thousands if not hundreds of thousands of Pennsylvanians. The law will disproportionately affect older citizens, people with disabilities, racial minorities, and lower-income people. The ACLU and NAACP of Pennsylvania have begun to prepare for a legal challenge. We are currently looking for plaintiffs. 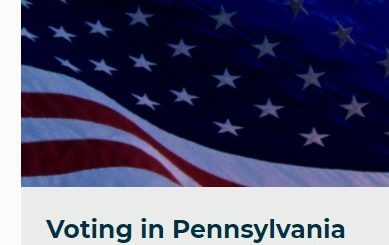 If you or someone you know will be unable to vote in the 2012 election because of difficulty in obtaining a photo ID, please contact us at (717) 238-ACLU (2258) or voterid@aclupa.org or fill out the PA Intake Voter ID Form (207 KB pdf) and return it. If you or your organization is interested in working on a campaign to educate the public about the voter ID law, please contact us at 215-592-1513 x122 or voterid@aclupa.org.